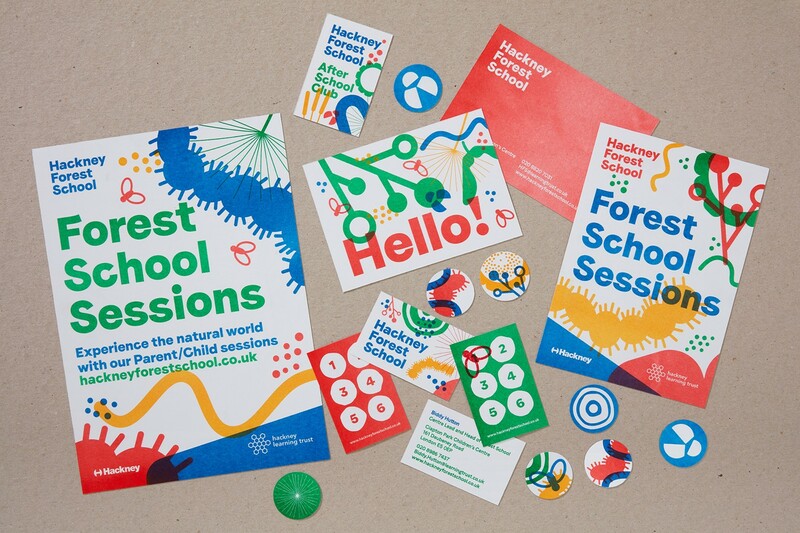 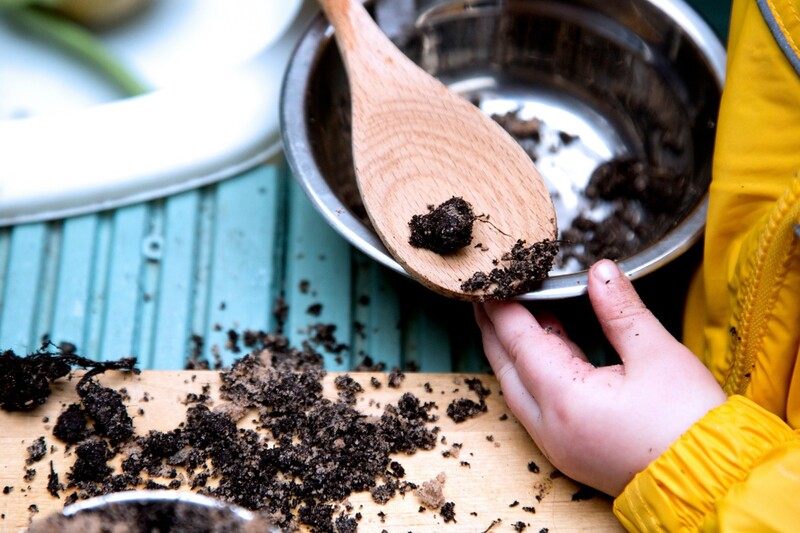 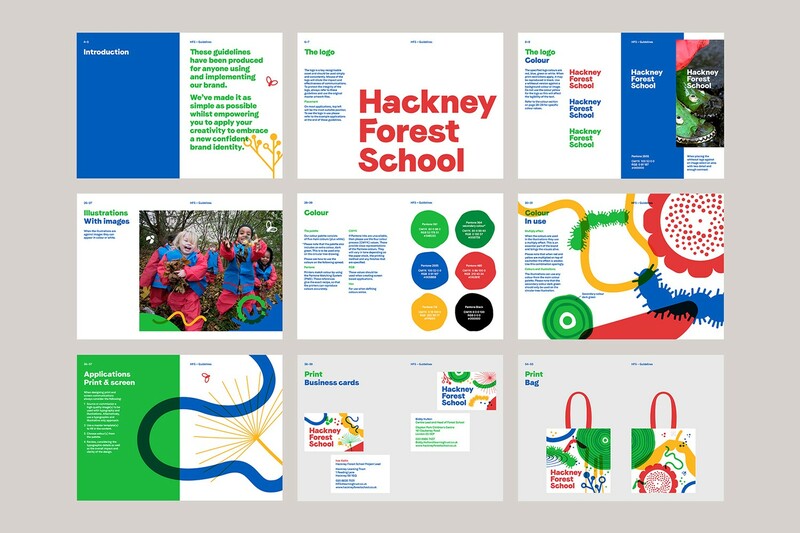 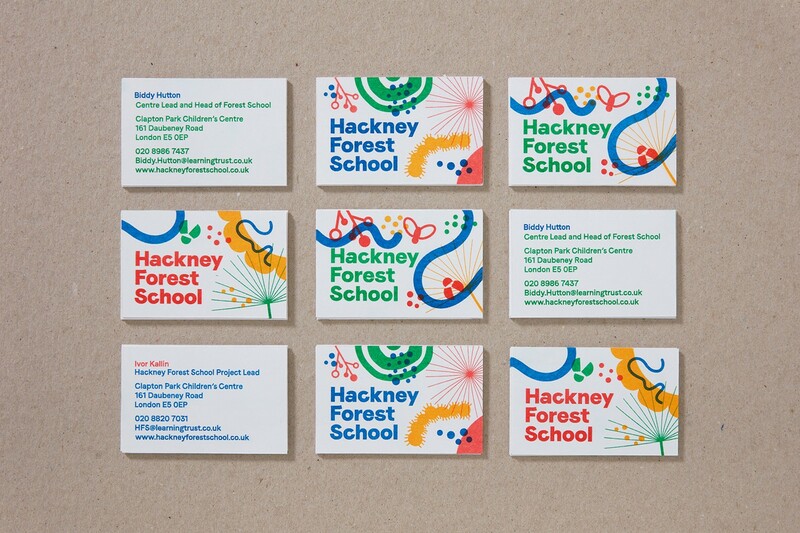 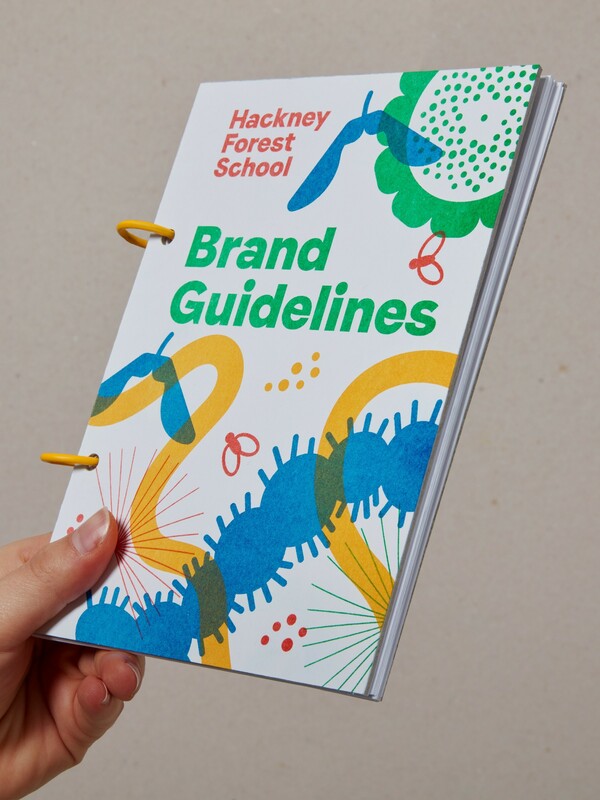 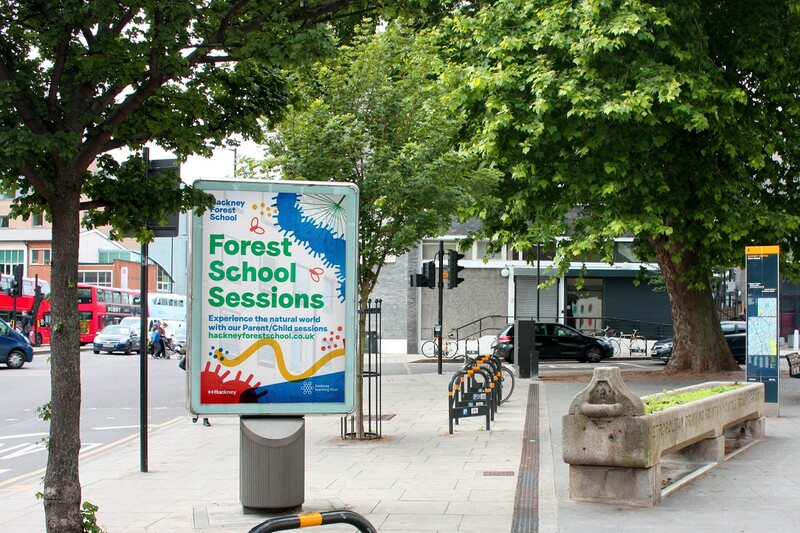 Forest School is a scheme set-up by Hackney Council, London that seeks to connect children living within the local built-up area with the thrill of the rural outdoors. 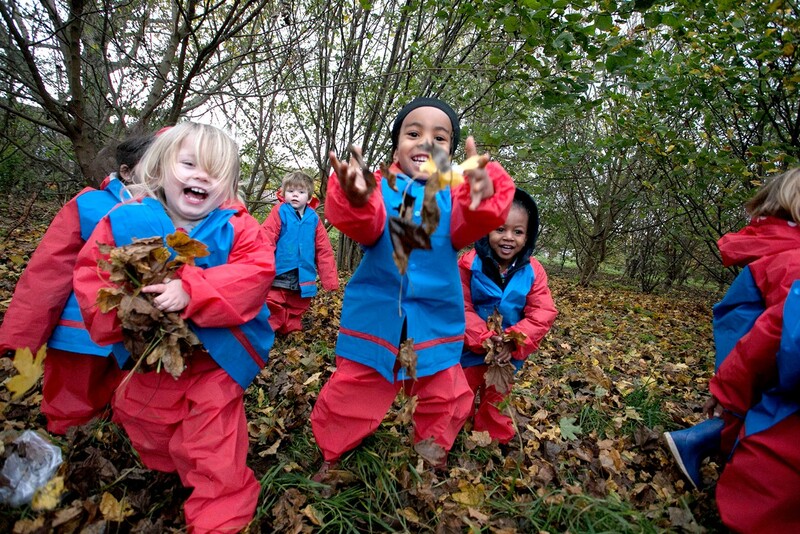 This is an enhanced version of nature. 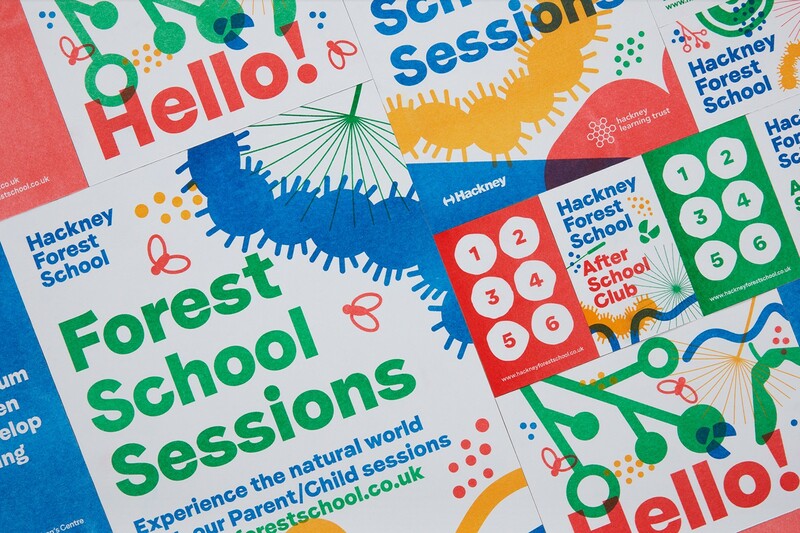 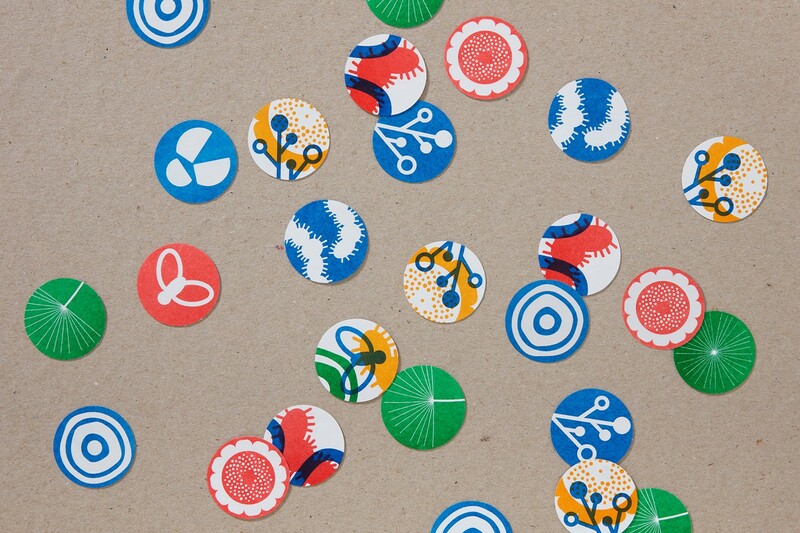 Natural colour gives way to a range of vivid riso colours that capture, not just an energy and child-like joy, but prints with something of a made texture, while the irregular forms of nature are reduced down, for the most part, to the uniform and geometric. 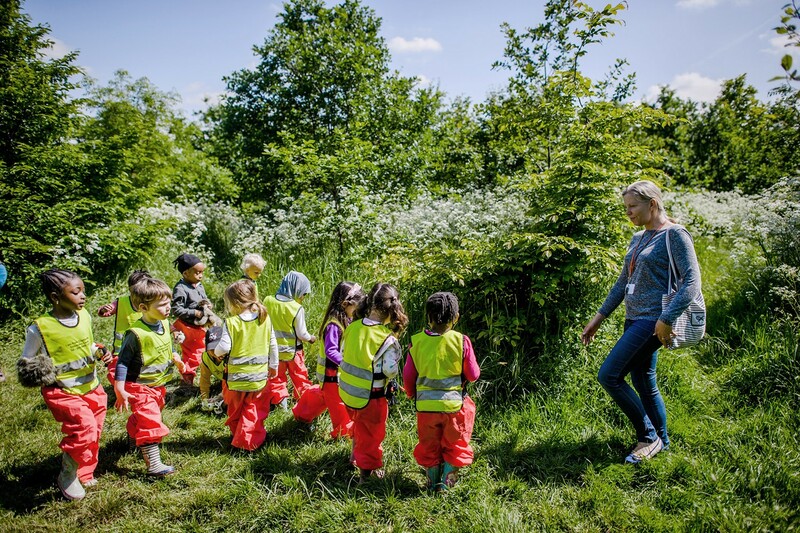 This balance of the natural and the systematic feels well-suited to an educational programme set within a rural context. 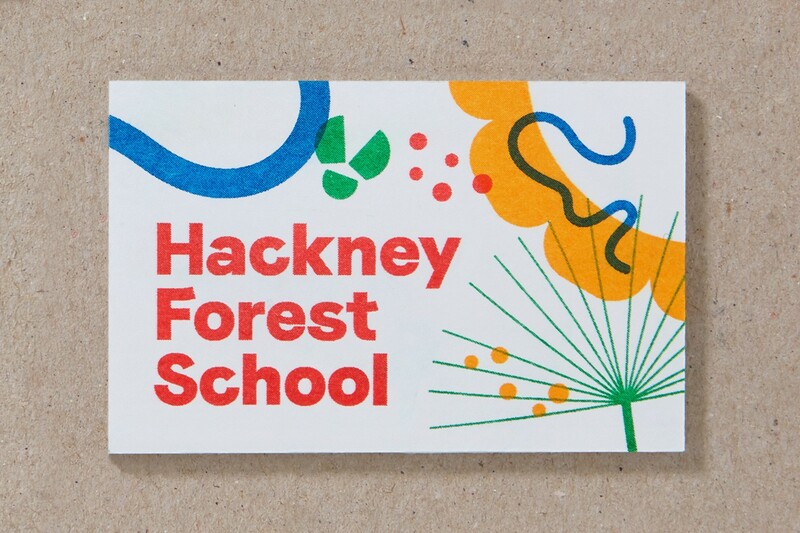 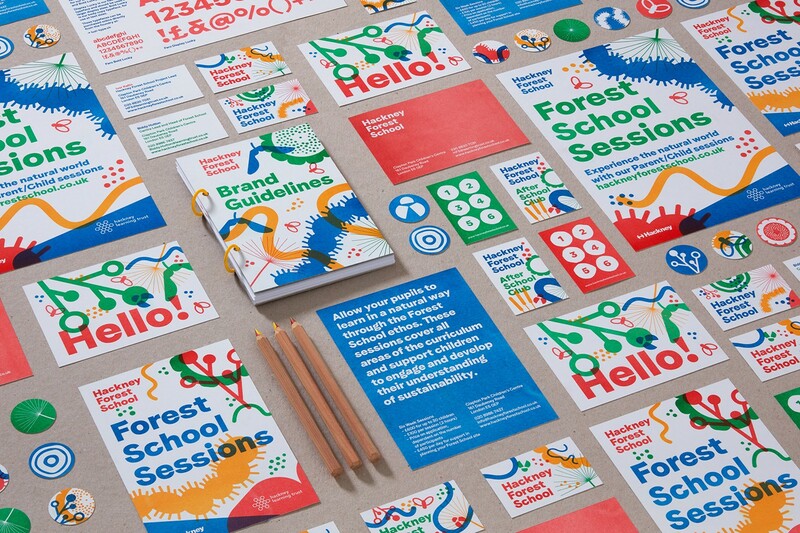 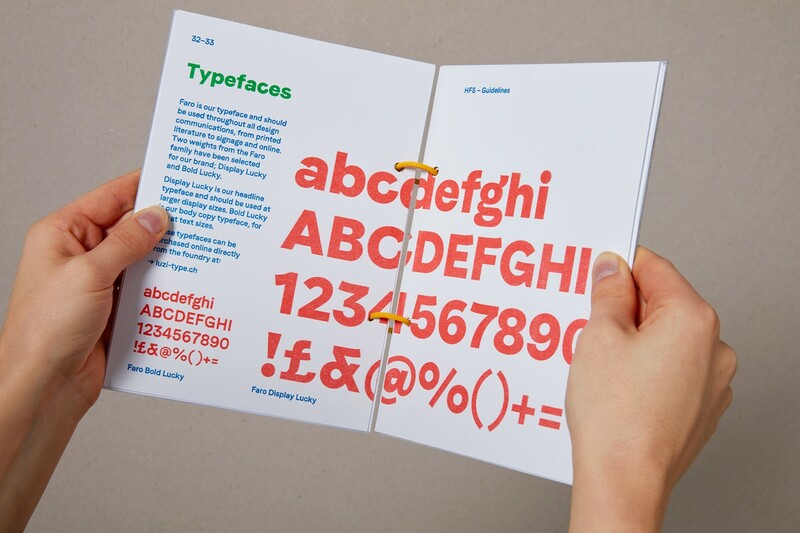 The use of riso printing is perhaps the smartest component in that it balances an economic imperative with an aesthetic sensitivity (achieving a true overprint) and a conceptual relevance.